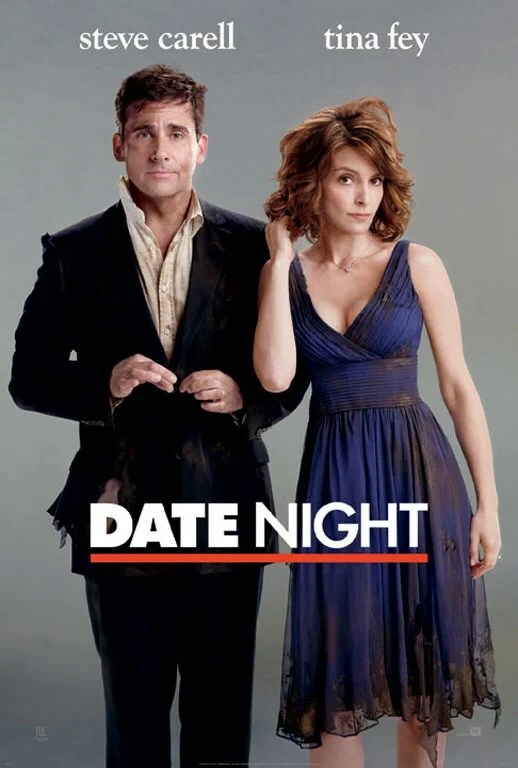 The stars in comedy heaven lined up and brought together the two of the funniest people in the sitcom galaxy, Steve Carell and Tina Fey, for an on-screen outing in “Date Night.” It feels strangely like watching an episode of “Saturday Night Live” nowadays: incredibly potent actors trudging through material that doesn’t deserve their comedic talents. But once you can put that issue to rest, what you are left with is a reminder of the power of the actor. It takes extraordinary expertise to entertain an audience with poor writing, and Carell and Fey emerge from the ashes looking like heroes. Honestly, these two could read off the entire health care bill and have one of the highest grossing movies at the box office. It’s amazing to watch these two comedians play off of each other. Together, they put their own unique spin on some dry lines and injecting some much-need humor into them while managing to turn lackluster repeated gags into hilarity. “Date Night” is all about them; the movie’s best moments are when it turns off the roaring plot engine and lets them take the wheel. For those of you who nitpick at actors playing the same role over and over again, you could potentially scoff at the stars. There are plenty of moments where we catch glimpses of Michael Scott and Liz Lemon. But as a fan of both “The Office” and “30 Rock,” I see absolutely no problem with that. There’s a reason why these are two of the highest profile characters on television, and it’s not a bad thing to see these two actors incorporating a little bit of what they do best. “Date Night” is no day at Dunder-Mifflin or TGS; it’s two average people like Michael and Liz thrown into outrageous circumstances beyond their control. As much as we might not want to admit it, there’s a little bit of each of those characters in all of us, and Carell and Fey have to channel a little bit of their small screen personas to make us care what happens to the Fosters on the big screen. The Fosters (Carell and Fey) are those average joes from New Jersey who take a trip into the city for dinner, steal the Tripplehorns’ reservation and are subsequently thrown into a world no suburbanites should ever have to face. They face everyone from a mob boss (Ray Liotta) to corrupt cops (including one played by Common), find an ally in a perpetually shirtless security contractor (Mark Wahlberg), and wind up in such seedy places as a gentlemen’s club and an apartment teeming with ’90s VHS tapes. But again, the outlandish plot gimmicks serve as nice background music to the real story, Carell and Fey. Director Shawn Levy does a nice job of stocking “Date Night” full of comedic fodder (including Kristen Wiig, a major plus in my book), allowing his stars to run through the movie a game of Pac-Man. Indeed, they only gain strength as the movie progresses. If you didn’t find Tina Fey walking into a drawer funny the first time, you’ll laugh the third time when her physical commitment to the role combines with the desperation her character feels from running around the Big Apple like a chicken with its head cut off. I was pleasantly surprised with this movie, and enjoyed reading your review. I absolutely love the office, own all the seasons and watch episodes repeatedly, and enjoy 30-Rock when I catch it occasionally. Thus, anything where I can see one of my favorite actors, Steve Carell, doing something very representative of one of my favorite characters, Michael Scott, is to me an enjoyable movie. My friends were actually surprised I enjoyed the movie and didn’t tear it up, hehe. Like I said, it was simply enjoyable. Sometimes it’s nice just to have an enjoyable movie. I like seeing something light every once in a while, and it’s nice whenever I can get that without groaning or cringing.